Angela Chen, Trump Park Avenue buyer, has Chinese intelligence ties. 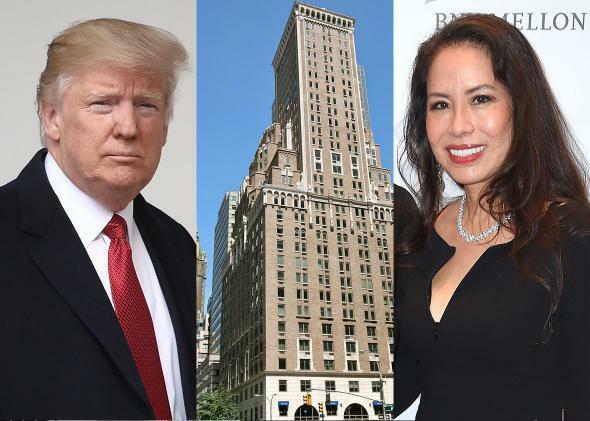 Donald Trump, the Trump Park Avenue, and Angela Chen. Photo illustration by Slate. Photos by Win McNamee/Getty Images, Alex Proimos/Wikimedia, and Nicholas Hunt/Getty Images. Angela Chen, in addition to her work as a consultant/broker, chairs the United States wing of a nonprofit cultural-exchange group called the China Arts Foundation. The China Arts Foundation was founded by a woman named Deng Rong. Deng Rong’s father, Deng Xiaoping, was a contemporary of Mao’s who succeeded him as the leader of China. Deng Rong is also a vice president of an outreach group called the China Association for International Friendly Contacts, or CAIFC, that has co-hosted events with the China Arts Foundation. So, Donald Trump just took $16 million cash from a woman with close ties to a foreign intelligence group that both Republicans and Democrats have suggested is involved in the inappropriate purchase of U.S. influence.